`Telling my story of first, surviving genocide and then, as a captive of ISIS is not easy, but people must know.' The remarkable and courageous story of Nadia Murad, a twenty-three-year-old Yazidi woman who is working with Amal Clooney to challenge the world to fight ISIS on behalf on her people. 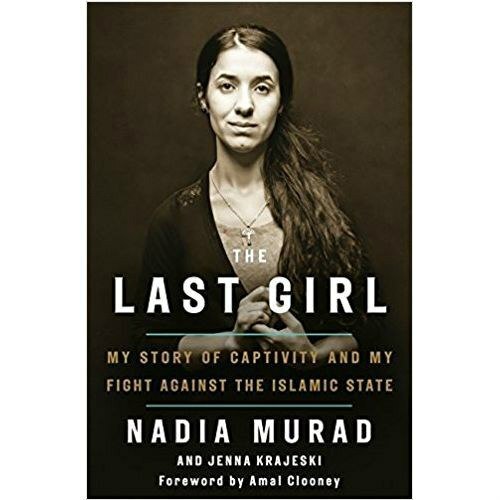 With a foreword by Amal Clooney Nobel Peace Prize nominee and the first Goodwill Ambassador the Dignity of Survivors of Human Trafficking of the United Nations and winner of the Vaclav Havel Human Rights Prize, Nadia Murad is a courageous young woman who has endured unimaginable tragedy (losing eighteen members of her family) and degradation through sexual enslavement to ISIS. But she has fought back.This inspiring memoir takes us from her peaceful childhood in a remote village in Iraq through loss and brutality to safety in Germany. Courage and testimony can change the world: this is one of those books.